To help your staff understand employment rights, technology, disability and universal design, The Center for Disability Empowerment offers two presentations to keep your organization accessible and compliant. 10/27/2017 9:30 A.M – 12:30 P.M. Implement accommodations from providing adaptive equipment to extension of leave and reassignment. 10/27/2017 1:30 – 4:30 P.M. 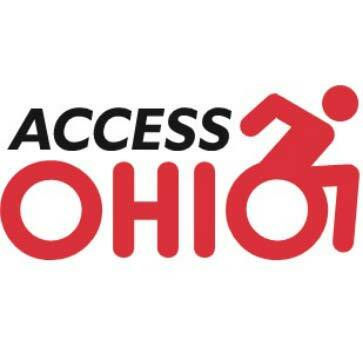 Presented by Peter Bossley, Director of the Ohio State University’s Digital Accessibility Center and L. Scott Lissner, ADA Coordinator, The Ohio State University. As we rely on websites, mobile applications, and social media, to interact with consumers, employees, businesses and students, accessible information technology can be overlooked. A review of the regulatory environment will be followed by an overview of the Web Content Accessibility Guidelines 2.0. Attendees will receive hands on advice and resources for building a customer friendly, accessible website. Each half-day workshop is offered for a remarkably affordable price of $250. If your organization purchases a seat in both, you receive a $100 discount and pay only $400 for the day. 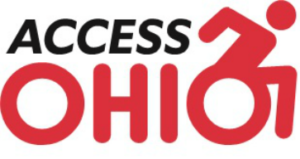 Ohio-based nonprofits with less than 5 full time employees, $125 per person / per session. Peter Bossley leads digital accessibility compliance efforts for the university. He has worked at Ohio State for a decade in various information technology roles. Peter is a regular presenter at conferences on digital accessibility, consults as a technical expert for disability rights advocacy organizations, advises organizations on implementing digital accessibility programs, and is passionate about digital accessibility and inclusion. He is a Certified Professional in Accessibility Core Competencies by the International Association of Accessibility Professionals. Scott Lissner has served as the Americans With Disabilities Act Coordinator and 504 Compliance Officer for The Ohio State University since January of 2000 where he is also an Associate of the John Glenn School of Public Policy and a lecturer for the Moritz College of Law, the Knowlton School of Architecture and Disability Studies. Lissner is Chair of the Association on Higher Education and Disability’s Public Policy Committee and a past President of the organization; he serves on the Boards of Directors for The Center for Disability Empowerment, and VSA Ohio; and on Advisory Committees for the National Center for College Students with Disabilities, Access Ohio, and Columbus Advisory Committee on Disability Issues. Download an information flyer about the workshops. Hello! My husband and I run the Columbus chapter of the Foundation Fighting Blindness. We are always looking for opportunities to share about our Foundation whether it be a booth or presentation. I myself am legally blind and employed full time. I went through BSVI and Opportunties for Ohioans with Disabilities to stay employed. If you ever have an opportunity for my husband and I to share more about FFB we would love to hear from you!